I've read through the entries and have taken note of your answers to my questjen: 'what would you like to see more of on my blog?' - I really appreciate the feedback and suggestions. 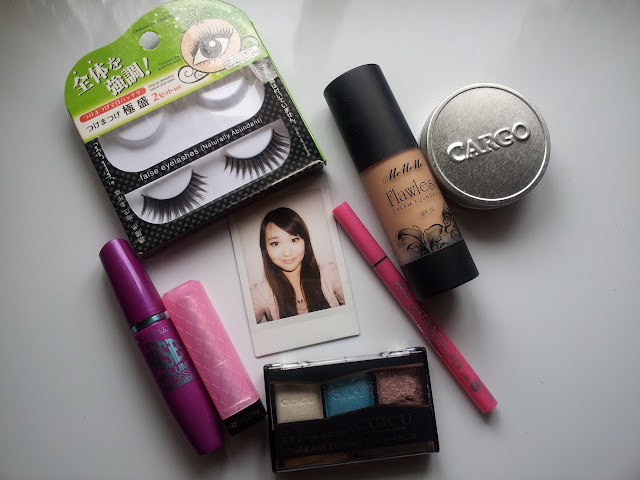 A nameless FOTD because I am uncreative and not witty. Forever sighing over the qualities that I wish I had. Where art thou artistic skills, cleverness and musical talents?!? 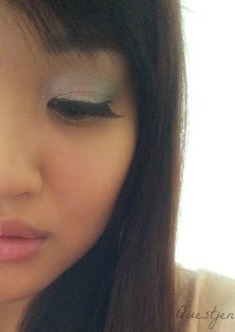 So in additional to a FOTD look I am going to briefly review the eyeshadow trio I used! Looks like a Korean brand? 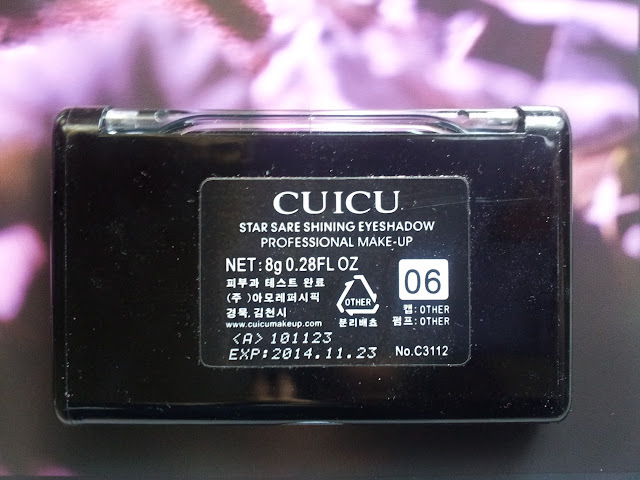 Hm interesting, I have never seen an expiry date on eyeshadows before. Have you? The product arrived in roughly one week and it was packaged with about 3 wrap-arounds of bubble protection. To my surprise, I noticed that the pink eyeshadow had cracked:( I wasn't happy with having to clean up the mess it made in the packaging. The poor design of the box could be the main cause of this problem. There is a rectangular 'hole' for the eyeshadow colours to be seen which I just mentioned above. I think it would make a difference if this 'hole' was filled with a clear plastic sheet. Oh well... the eyeshadow is not completely ruined thankfully. 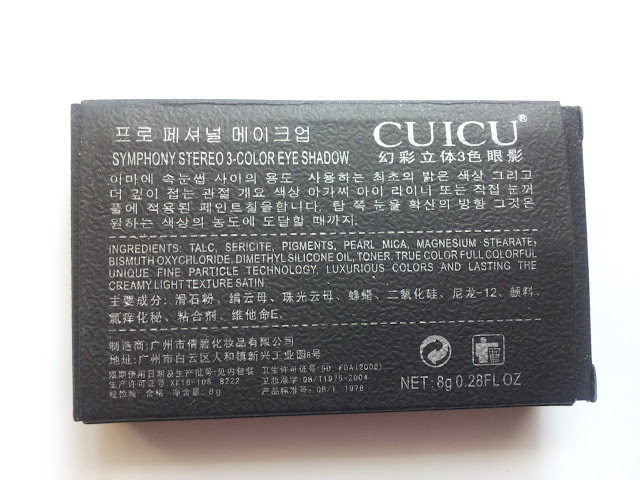 I think it's safe to assume that the eyeshadows have not been finely milled as preferred. 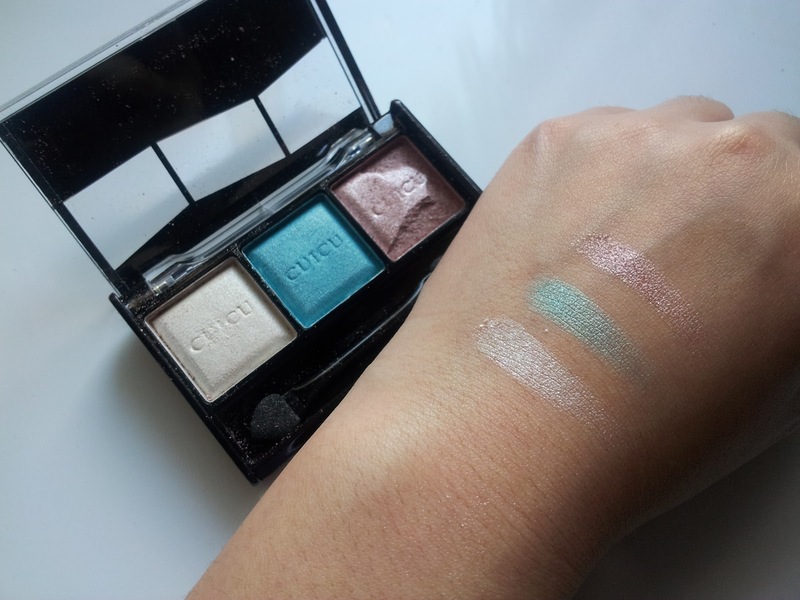 Sadly the swatch for the turquoise eyeshadow in the middle looks more like a metallic green. Turquoise would have been more awesome in my opinion. How did I apply my eyeshadow? Well, I used a fluffy shader brush to apply the white eyeshadow to the inner corners of my eyes and also as a highlight colour for my brown bone aka the area right under my eyebrows. I then added the pink eyeshadow to the centre of my eyelids with the same brush, followed by a pop of the greenish-turquoise shade to the outer corners of my eyelids, my crease and on my bottom lash line with a pencil brush (Sigma). I used a blending brush to eliminate any harsh lines and to bring the colours altogether without over blending. I can't make much comment about the double-ended sponge applicator provided in the palette since I didn't use it to apply my eyeshadow. I actually always use eye brushes instead of sponge applicators.... it's just my preference and I find brushes to be more versatile (applying and blending). I appreciate how there is a sponge applicator provided as it makes it more travel/makeup bag friendly for any needed touch-ups. 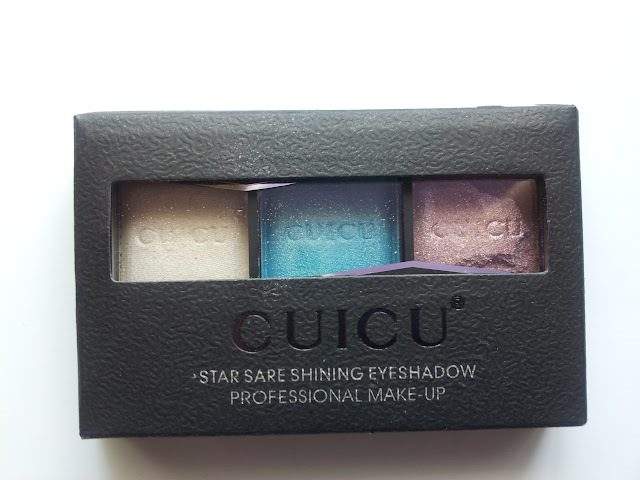 It's not a bad eyeshadow trio and the colours are quite nice. It's just that in comparison to other eyeshadows that are similar in price... I feel that this trio is lacking in quality and isn't on the same standards as others. My pink eyeshadow is still cracking even after I have cleaned it up and removed the loose bits. I assume that this is due to the eyeshadows not being finely milled and hence being more prone to separating and whatnot. The pigmentation of eyeshadows is not a high priority for me because it's buildable during application so I'm really not fussed about that. 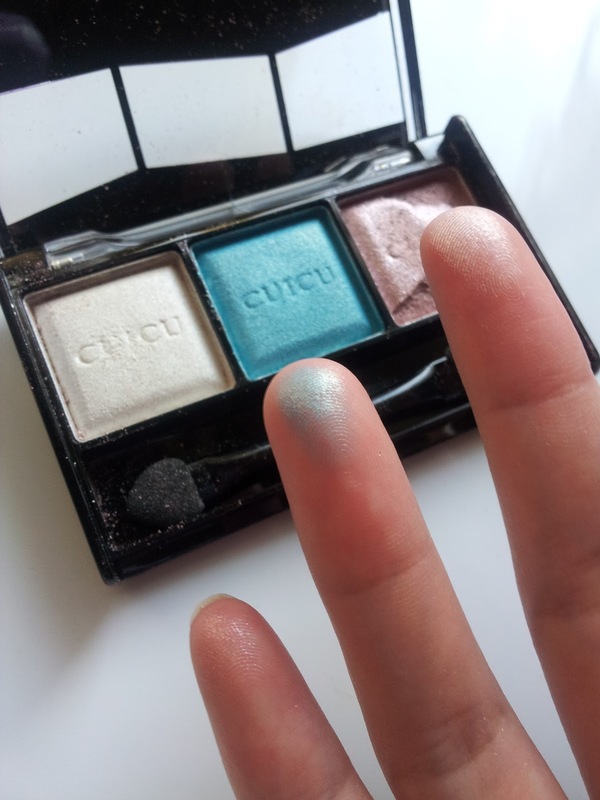 In the palette the eyeshadows feel chalky but once swiped they feel quite smooth and if there is any fallout, they can easily be blown away or brushed off using a fan brush. The case definitely feels sturdy but unfortunately that wasn't enough to protect the non-finely milled pink eyeshadow from experiencing breakage during shipment. 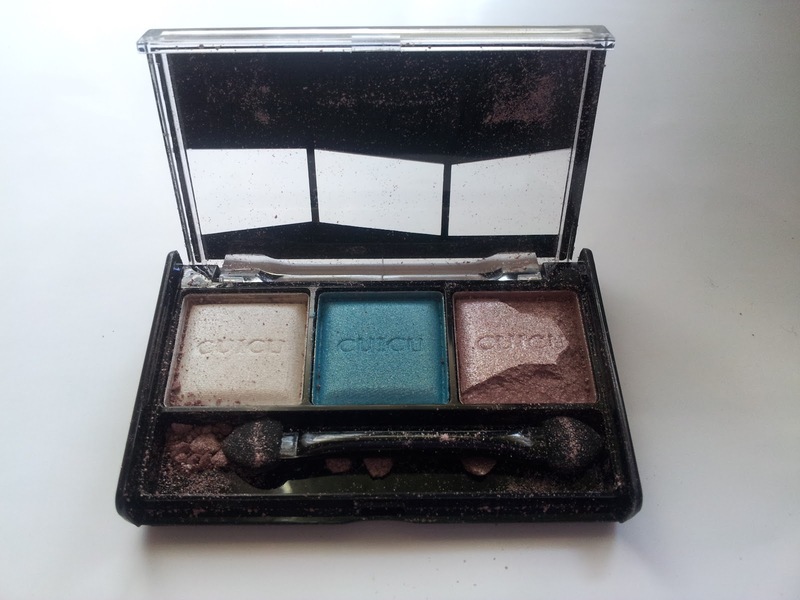 If I had to recommend it to someone, I would only recommend this to anyone of any age wants to do their first eyeshadow experiment. 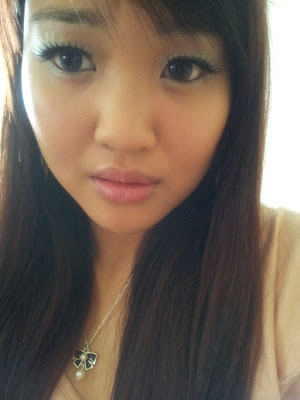 When I first played around with eyeshadow, I remember that the palette I used was pretty bad quality but I still found it fun to play with :/ I was under 10 years old haha. LOL I'm kidding but it definitely looks like I'm thinking that. Eyeshadows - How important is the quality to you? 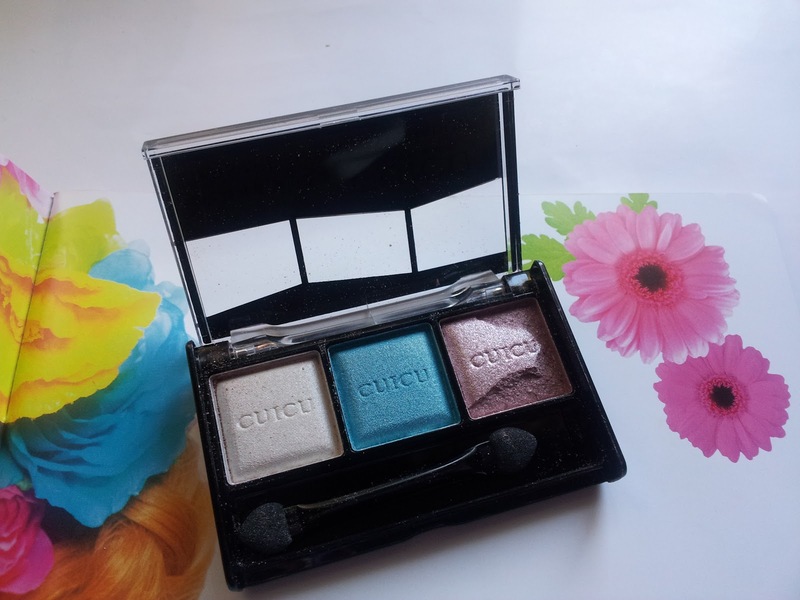 Even though I found this trio to not be of high quality, this won't mean that I will never use these eyeshadows again or chuck them out. For some they may be completely useless but to me... they are still usable. I can make them work like how I did for my FOTD. I may prefer higher quality eyeshadows but as I said before, pigmentation is not my top priority - just as long as it is buildable and the eyeshadow smoothes onto my eyelids. I think the product comes from china or korea? some of the eye shadows won't stick long enough. 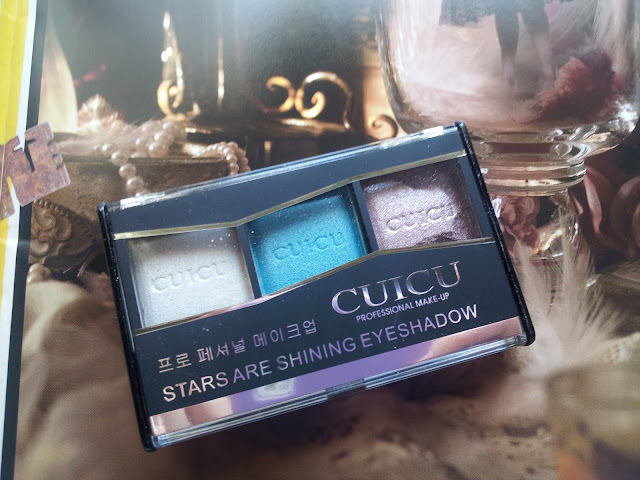 The colors of the eyeshadows are really pretty =) I like my eyeshadows to have very little fallout. The eye shadow looks nice on you. But according to your recommendation, I think I'll pass. I like your lashes though. Such a babe! You have such gorgeous features.... plump lips! I sound like a creeper right now but I'm not okay LOL! you have really great big eyes!! Although,i like them on your eyes!